Our specialists are effective and thorough, eliminating your cataracts to open up a new world of vision. Is it time to get LASIK? With more and more Americans flocking to eye care centers to have their vision permanently corrected, this may be a great option for you. Our eyeglass selection is vast, giving you a shopping experience that is fun and interesting. If you’re looking for premium eye care, you’ve found it. The optometrists and ophthalmologists at Atlantis Eyecare Newport Beach are leading specialists in cataract surgery, laser eye surgery and vision correction. Your treatment will take place in a fully accredited, leading edge facility with friendly staff and competent, experienced doctors. With Atlantis Eyecare, you will receive precise LASIK, effective vision correction, among the best cataract surgery Newport Beach has to offer. Our Cataract Center puts you in the care of some of the most qualified cataract surgeons Newport Beach has to offer. All the great things you’ve heard about LASIK are true. It may be time to shed your glasses and begin a new life. With early detection and effective treatment, our doctors specialize in preventing blindness that may arise from glaucoma. At the Atlantis Eyecare center in Newport Beach, our goal is your clarity. Cataracts don’t stand a chance, with our cataract surgeons boasting thousands of effective surgeries. Using a technology called refractive lens exchange, we ensure your vision is clearer than ever after your eye surgery in Newport Beach. When it comes to someone applying a laser directly to your eye, you want the assurance of total experience and knowledge. The doctors at Atlantis Eyecare Newport Beach have logged over 30,000 laser vision corrections, giving them the expertise and competence to deliver exactly what is promised. LASIK can be a life-changing procedure, and it has helped thousands see clearly. At Atlantis Eyecare Newport Beach, our goal was to assemble a team of eye care specialists who are second to none—and we’ve done just that. Our specialists consistently contribute to their respective fields with their findings and discoveries, which is a wonderful testament to their general competence and ability. We are proud to boast some of the best eye surgeons Newport Beach has to offer. The staff and doctors at Atlantis Eyecare Newport Beach have a very clear priority—your comfort and quality of care. When you step into our facility, your welcome will be warm. Further, the facility itself is on the leading edge of eye care technology, housing all necessary components to deliver anything you require. Atlantis Eyecare does not utilize a one-size-fits-all approach, and your individual eye care begins with a consultation to ensure treatment fits your unique needs. We get to know you and your goals, delivering exactly what you want with our total eye care expertise from our top eye doctors in Newport Beach. With 20.5 million Americans age 40 and over affected by cataracts, we understand the demand. 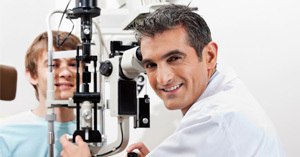 Our leading cataract surgeons consist of some of the most experienced experts in the state. Each is board-certified in their field, which displays the dedication with which the practice their craft. They are equipped with every advancement made in the field of cataract surgery and deliver unparalleled results. At Atlantis Eyecare Newport Beach, you can be sure you’re receiving some of the best cataract surgery Newport Beach has available. 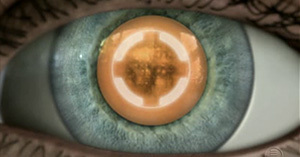 Following cataract surgery, it is necessary to replace the ocular lens. For this reason, our team is fluent in intraocular lens implantation, also known as refractive lens exchange. Not only is your cataract surgery quick and painless with little or no downtime, but also your vision is improved significantly with premium intraocular lenses. There are several different types to choose from, and your Newport beach eye care specialist will discuss your options thoroughly. 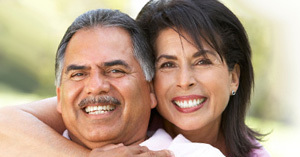 When it comes to cataract surgery, most health insurance plans will give you coverage. Our insurance experts will work with you and your insurance provider to draw the maximum benefits from your plan. Even if we are not listed as a preferred provider on your insurance plan, we can still help sort out your coverage to help you get the care you need. All we require is your insurance information and we will do the rest.